Kathryn holds an MHA from the University of Minnesota, as well as a 99th-percentile GMAT score. Her teaching experience prior to MPrep includes teaching test prep classes as an undergrad and serving as a statistics TA in graduate school. During her undergraduate career at the University of Notre Dame, Kathryn studied pre-med, business, and the humanities. While she had no idea what she wanted to do post-college, she hoped that a well-rounded education focused on learning how to think, vs. learning specific knowledge that would soon be outdated, would serve her well in the professional world. Never did she predict that the first payoff from this type of education would be a 770 score on the GMAT while still in college. Wanting to upgrade her food budget to include burritos from the newly-opened Chipotle down the street from her apartment, Kathryn began teaching GMAT test prep classes during her senior year in college. She soon discovered that she loved helping students reach their testing goals by understanding how to outsmart the GMAT. After graduation, Kathryn moved from one cold climate to the next to begin her master’s degree at the University of Minnesota, where she studied healthcare administration. 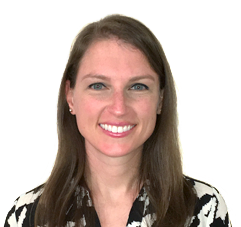 Upon graduation, Kathryn began working for Accenture as a healthcare strategy consultant, helping hospitals and other healthcare organizations develop and implement strategies for data and analytics programs. After six too many years of living in the frozen tundra, Kathryn decided it was time to move to Dallas, TX, where sunshine is exponentially more plentiful than in either Indiana or Minnesota. When not teaching, Kathryn enjoys spending time with her husband and daughter, trying new restaurants, pretending that she’s a good cook/baker, attempting to expand her limited knowledge of red wine and bourbon, and enjoying being outdoors in the beautiful Texas sunshine (excluding months June through August).